Rick Alan Draughn, an independent R&B recording & performing artist based out of Connecticut, is rated one of the hottest and most cutting edge and up & coming recording artist on the East Coast. 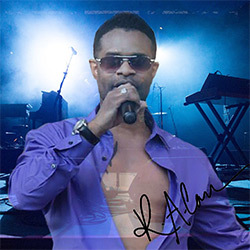 Aside from his independent recording projects, Ricky Alan is also the lead vocalists & songwriter for the well known “Slammin’ Band”, with continued show-stopping performances throughout the Tri-State area, as well as internationally. Ricky Alan is also the President/CEO of DCI Resources (The Learning Academy), an Information Technology firm based out of New Haven, Connecticut, with five locations throughout Connecticut.